Hardwood flooring can enrich the beauty of your residence. When your wood floors have lost their shine, there are many choices in floor maintenance which includes floor sanding Newcastle and floor polishing Newcastle, to bring it back. It doesn’t matter your budget; Floor Pros can give you floors that are resilient and long-lasting. Besides being attractive, wood flooring is good for the environment. They are durable and typically don’t need replacing for years with suitable maintenance. Hardwood floors can help your residential or commercial property look sophisticated and stylish. When you decide you want professional Newcastle floor polishers and floor sanders, this is where we come in. For years, we have been giving residents excellent floor refinishing service. When you hire us to do your floors, you will see that it takes less time for your flooring project to get done than if you DIY. Moreover, our workmanship delivers amazing results. Our team is made up of true professionals, devoted to their trade. We can complete your flooring job on budget and on schedule. Unlike other flooring companies in Newcastle, our crew cleans up the work site after your floors are done, leaving your business or home in the same condition as when they began. We work with top name brand floor products, so regardless of what type of flooring you have, we guarantee you will love the outcome of our maintenance work. Our floor experts have what it takes to manage your floor desires. With us, there’s no flooring job too simple or complex. Our floor contractors are willing and ready to handle it all. We aim to be your one-stop source for all floor refinishing, floor sanding, or vinyl floor polishing. We have been serving as the business where you can find cheap floor sanding in Newcastle for years. Our rates are matchless by other Newcastle floor sanding companies, and our online reviews are outstanding. We possess the capability to satisfy all your wood, Timber, Jarrah, and vinyl flooring requests. We consistently update our service list to keep up with the latest techniques. We stand behind our wood floor maintenance with a company-wide commitment to service, value, and respect. If you have questions, our courteous and polite staff is just a simple phone call away. They have been in the industry for a long time, and they will resolve even the most challenging floor sanding or refinishing problem. Finding the ideal business for floor sanding in the west, east, south, and northwestern suburbs has never been simpler! Not only do we offer excellent floor maintenance work, but we also offer excellent wood floor polishing service. From refinishing your wood floors to sanding your bamboo floors, we are devoted to aiding you in finding what you’re looking for. Our vast selection of flooring services is second to none and is always at reasonable quotes. 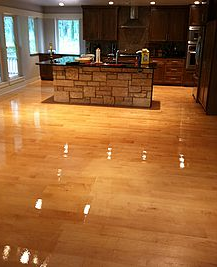 The results are floors that have long-lasting shine and luster. Well-kept flooring increases the value and beauty of your property. Our inventory includes numerous stains and glosses for you to select from, so you will find the one that is just right for your floors. We are the best floor resurfacing business in the area, and we take pride in providing a variety of services at economical prices. Experience the richness and warmth of wood flooring, especially floors that have been treated with incredible workmanship. From polishing to sanding, our wood floor technicians do everything with precision. We want your floors to look fabulous and give lasting pleasure. Our specialists will create a customized floor maintenance plan that is uniquely yours. You know that inviting, luxurious wood floors make a distinct statement. Wood flooring brings refinement to any room in your office or residence. We believe that servicing your wood flooring shouldn’t be pricey. We are more than happy to show you what we can offer and at prices well within your price range. Our floor professionals don’t stop working until the work is done and done correctly. Floor Pros is the place where good-looking wood floors begin. We are devoted to giving superiority in all of our projects. Our customer service staff is on call to help you in any way they can. Getting your flooring back to its original condition should not be a strenuous task. 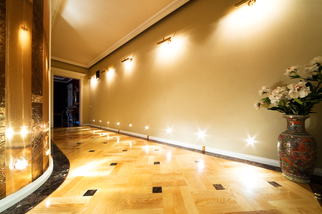 With us, we offer a variety of floor repairs, such as wood board refinishing. We are the top business for floor repairs in Newcastle and the eastern suburbs. We can give you any flooring repairthat you need. As your contractor for floor maintenance and repairs, there’s no longer any excuse to wait on renewing the beauty of your property. From Timber floor sanding and polishing to cleaning and bringing those floors back to life, our team takes pride in their craftsmanship. Besides floor maintenance, we also provide basic floor cleaning and glossing. Most people who have wood floors don't know how to clean them properly and use the wrong solutions in doing so. We use eco-friendly wood floor cleaning solutions and other products to not only give your floors a shiny gloss but to keep them and your environment healthy. We know that your property is important to you, and you want each part to be exquisite and appealing. You will not find any other flooring company that will give you the first-rate service that we do. We understand that after time, floors become worn, and we will be more than happy to rejuvenate them. We cater to budgets of any price range, and our techs will make your floors look like there was never any issue to startwith. We are the best choice for property owners for wood floor repair and maintenance services. Whether you need your wood floor handled with care, our professionals are personable and reliable. For years, we have specialized in giving comprehensive flooring solutions to anyone in the area who needs it. Maintenance is common with wood flooring, and it is common for some buffing, sanding, or refinishing to be a necessity because of the heavy foot traffic. Another reason for the need for flooring maintenance is inadequate upkeep. We are pleased to assist you with work that will make your damaged floors look new again. We cater to properties of any size and provide prompt, effective flooring services that will leave you happy you picked us. Whether you need a simple board sanding or wood floor recoating, we’ve got you covered. Our flooring specialists have the skills to give flawless floor work, like matching the color of the stain so that you can’t tell the difference between the fixed areas and the original wood floor. Simply put, our crew is the best in the business. With proven skills and knowledge, we aim to provide the best flooring maintenance work ever. While a budget is critical, it is vital that you select a floor contractor who is licensed and insured to safeguard you and your property. It is crucial to understand that the flooring under your feet is the most used part of your business or home. Therefore, you want a floor service business that will do the work correctly the first time. A good number of our projects are with customers who receive sub par flooring maintenance from another Newcastle business. To get your wood boards looking like brand new, hire our experts to do it. We are enthusiastic about what we do, and you can see it when we're finished. We can revitalize your wood floors. After our floor refinishing or sanding, your floors are glossy and shiny, just like when you first had them put in. We provide an assortment of flooring options, and we will assist you in selecting the one that you need. If you want to get your floors looking remarkable again with exceptional flooring services, turn to Floor Pros!